To mark the 10th Anniversary of the International Children’s Palliative Care Network in 2015 we have launched the NOW Campaign to raise the profile of children’s palliative care globally. 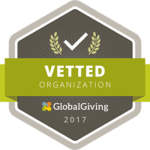 We believe that there are 21 million babies, children and young people across the globe who are in urgent need of palliative care. Their lives will be short. Their pain and suffering will be great. Children’s palliative care is a response to the suffering of a child and their family who are facing life-limiting or life-threatening conditions. In this world we already have the knowledge, we have the skills, we have the drugs and we have multi-professional teams. There is no reason for children who have life-threatening conditions to die in pain and suffering because we can actually care for them if we want to. ICPCN is working globally to ensure that every child has the right to die free from pain and suffering. These children and young people URGENTLY need your help to spread this message. For the children – there is only NOW. Watch this Little Stars film where award winning British actor, David Suchet CBE, (best known for playing Agatha Christie’s Hercule Poirot) explains what children’s palliative care is all about and why we need to act NOW for children with life limiting conditions. Become an ICPCN member in order to stay informed and become part of our international network of individuals and organisations. 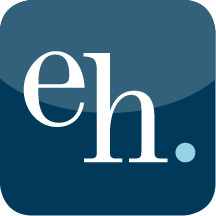 Membership is free and open to individuals and organisations. Join us now. Every 2 weeks a short ‘Little Stars’ movie on children’s palliative care and produced by Moonshine Movies will be released. Watch the movies and SHARE, SHARE, SHARE! We have begun a ‘10 Things about children’s palliative care’ social media campaign to run throughout 2015. Like our Facebook page and help to spread the word by sharing these posts on your wall. Support our NOW campaign on your social media pages. Like and follow ICPCN on Facebook, Twitter & Instagram. Share the NOW campaign logo on your social media sites and write a message in support. Please use the hashtag #nowcampaign. 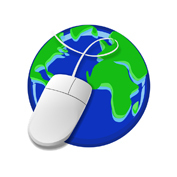 Click here to download the logo as a PDF. Tweet regularly about the NOW Campaign using any of the Tweets found here. 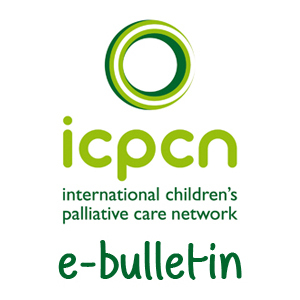 The NOW campaign will culminate at the 2nd ICPCN International Children’s Palliative Care Conference to be held in Buenos Aires, Argentina from 18 – 21 May 2016. Be sure to join us there! 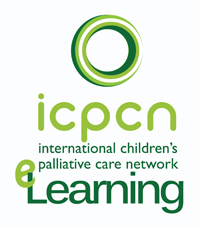 Learn more about children’s palliative care by taking one or more of our E-learning modules at www.elearnicpcn.org Modules available in 8 languages. Donate $10, £10, €10 or more to ICPCN to help us continue the important work we do.